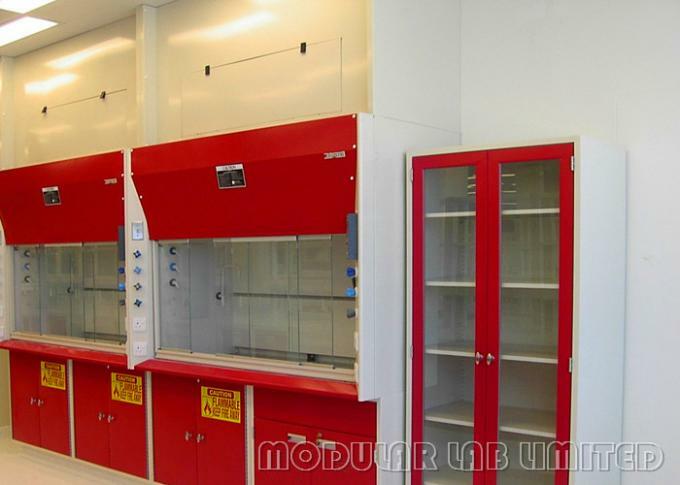 Laboratory fume hoods minimize chemical exposure to laboratory workers. They are considered the primary means of protection from inhalation of hazardous vapors, mists and particulate matter. It is therefore, important that all pntentiallty harmful chemical work be conducted inside a properly functioning fume hood. The exhaust fan draws air from the room in which the hood is in through the hood opening and out through the ductwork. A fume hood is an intergral part of the building air handling system. A fume hood structure is basically a cabinet, with an open side or sides for access to the interior of the hood. A transparent, movable sash, allows the user to restrict or enlarge the fume hood opening. The hood is connected, via ductwork, to an exhaust fan, usually located on the roof of the building in which the hood is located. Variable air volume (VAV) hoods differ from constant air volume (CAV) hoods because of their ability to vary air volume exhausted through the hood depending on the hood sash position. VAV hoods reduce the total quantity fo supply and exhaust air to a space when not needed, threrby reducing total operating coasts. A VAV hood maintains a constant face velocity regardless of sash position. To ensure accurate control of the average face vellocity, VAV hoods incorporate a closed loop control system. The system continuously measures and adjusts the smount of air being exhausted to maintain the required average face velocity. 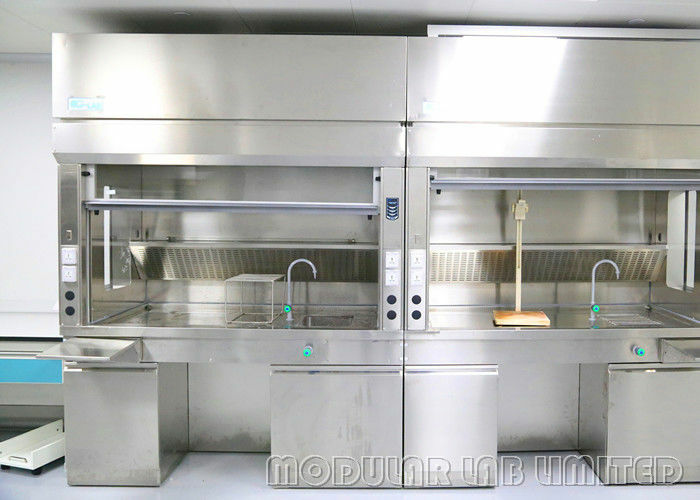 The addition of the VAV fume hood vontrol system significantly increases the hood's ability to protect against exposure to chemical vapors or other contaminants. Many VAV hoods are also equipped with visual and audible alarms and gauged to notify the laboratory worker of hood malfunction or insufficient face velocity. Bubble film + Cottom + Standard export wooden case or as your request.